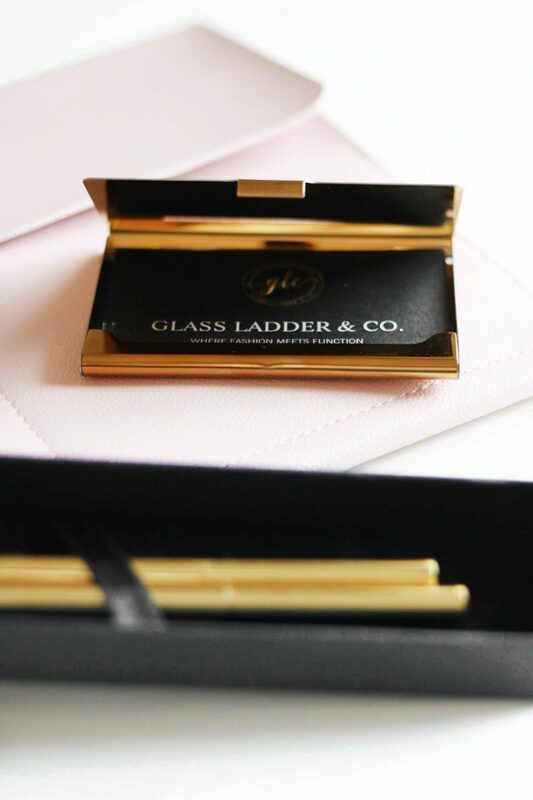 Stylish Office Supplies from Glass Ladder + GIVEAWAY! 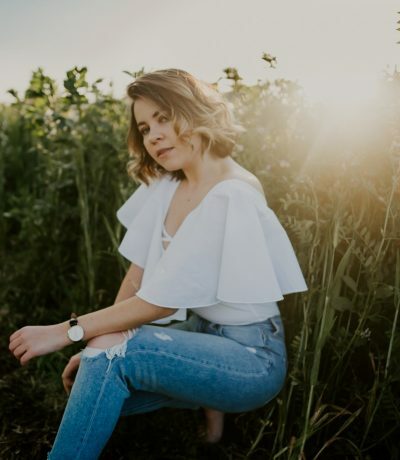 Being a blogger focused primarily on style, I always look for ways to meet fashion with function. After all, there’s something so rewarding in finding pieces that not only compliment my taste, but also bring a practical value to the table. I try to apply this rule to both my clothes and accessories, which brings me back to an important place of business – my office. Do you ever feel like your day at work tends to go somewhat smoother once everything on your desk is organized and well, looks pretty? Out of sight, out of mind they say and it definitely rings true with me. If I can’t put everything away like I want to, I tend to accessorize my desk with stylish office supplies. Same applies to working outside of my home office. If I need to bring my work stuff with me somewhere else, I make sure I look good while at it. One company that embodies everything I just mentioned above is Glass Ladder & Co. 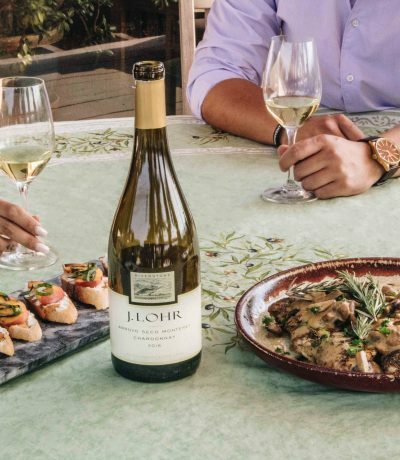 I recently discovered this brand through networking and I am so happy to share the love here on my blog. They’re a cruelty-free business providing stylish office supplies to make your work enjoyable! Their principle is to support women and foster professional growth in the business world. They don’t believe in glass ceilings, they believe in Glass Ladders, because the potential for growth is unlimited. Personally, I find their story and mission to be so inspiring, so please read more about them here. Now, onto some exciting stuff! Since there’s nothing better than sharing what I love and makes my life better, I want to give you a chance to win some of the Glass Ladder accessories! Please keep reading to find out how to enter this giveaway (details on the bottom of the post). I think we can all agree that the most challenging thing when running from a meeting to meeting is attempting to look put together and professional – while carrying your files, technology and work supplies! Thankfully, Glass Ladder designed this fabulous looking AND practical clutch (tech folio if you will) so you can meet fashion with function! This piece comes in 3 colors (black, grey and blush pink) and the best part about it is that it’s vegan leather. Protecting the environment and animal right is at the core of Glass Ladder priorities, which is yet another reason to love and support this brand! We can’t forget about those business cards, can we? If you’re like me, you often end up pulling your business information out of your wallet, which is probably not the most professional thing to do. That’s when a separate card holder comes to rescue! 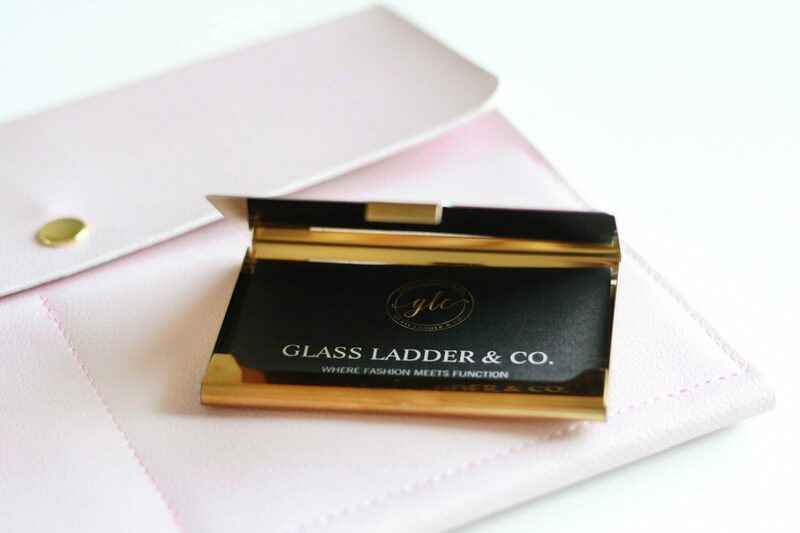 This particular one from Glass Ladder has a gold finish and you can use it for more than storing your business cards. For example, I like to keep my camera memory cards in there as well. Last but not least, the pens! I think it’s a part of our office supplies we neglect the most often. That’s a shame because it can add such a stylish, professional edge to your look and feel! They also make for a perfect gift or Christmas stuffer, don’t you agree? Now that you know what stylish office supplies I’ve been loving lately, how about a giveaway? I want to give you a chance to win this set of modern pieces to rock you entrepreneurial ventures in style! All you have to do to enter is just follow 3 easy steps below. Like the post (pictured above) on Instagram. Tag two friends in the comments (on Instagram) that don’t already follow me. Every additional tag will earn you an extra entry! Giveaway will end on 11/3 at 8pm PST. I will announce the winner shortly after! This giveaway is in no way sponsored or endorsed by Instagram. US participants only. 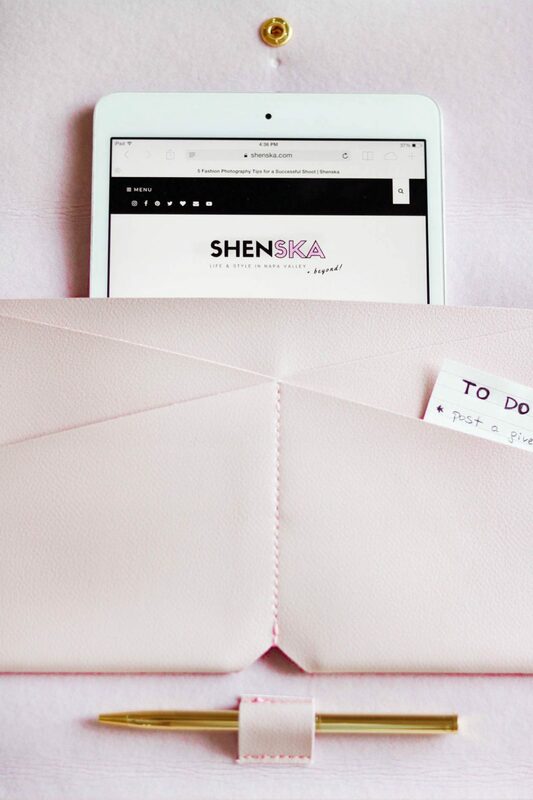 Oh that ipad clutch is so gorgeous and seriously so functional! I love finding amazing office and work pieces, especially in fabulous colors! It’s a must have piece for busy boss ladies, for sure! Hello Gorgeous!!!! I am absolutely loving this!!! BTW You have completely inspired me to make more videos even though I have zero time for it! I cannot wait to binge read lol! Jess, thank you for a sweet comment! I just started doing some videos so I definitely could also use all the motivation I can get, haha! Those office supplies are beautiful! I love it all! They are beautiful! So modern and chic. I love all of these items! I am dying over the vegan leather iPad clutch! LOVE! 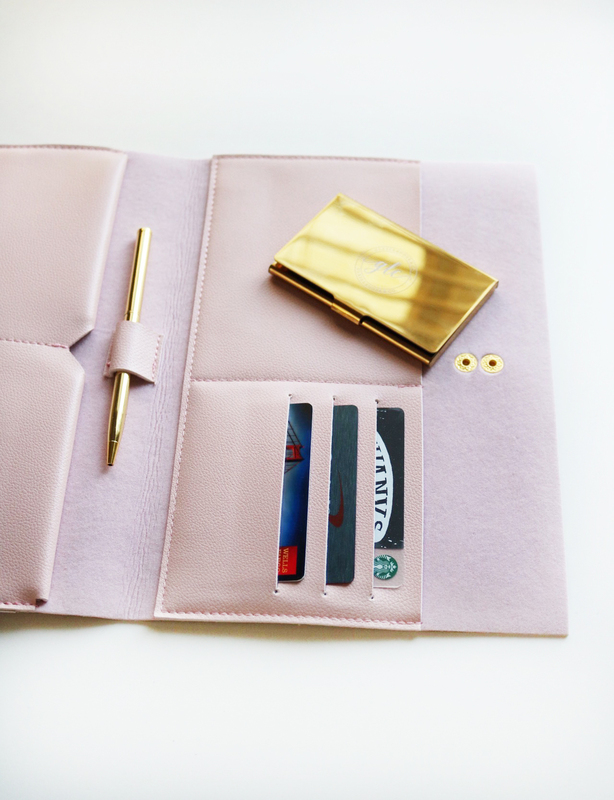 I’m all about sleek and stylish desk & work accessories, so naturally I need to get the gold business card holder! All of these office items are so pretty! Love them! I’m loving these pieces! That iPad clutch is so pretty and functional and all the gold details are gorgeous. Loving the pink. Cool pieces! I love these pieces! They are so cute and organized! Such a fun giveaway! Everything looks so pretty. Your photos are amazing! These are the cutest office accessories ever! I love the baby pink! 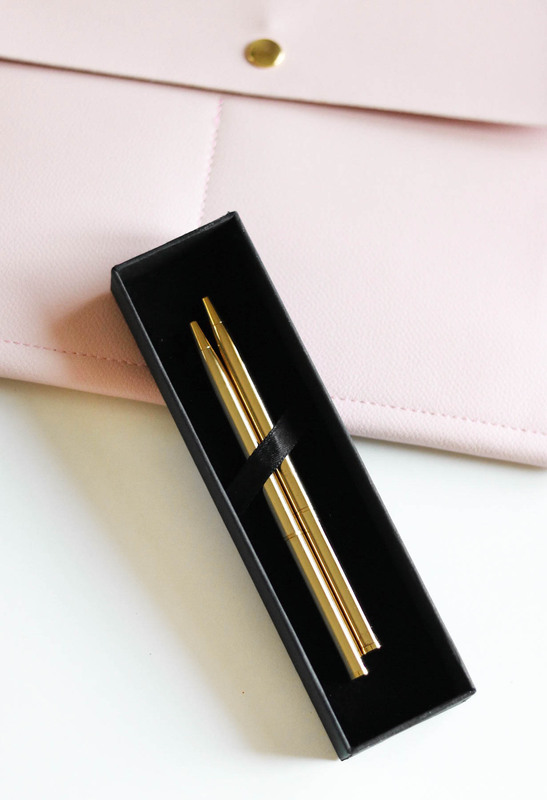 The LUXE GOLD BALLPOINT PEN SET is stunning dear. It’s beauty is elegant and timeless. There’s nothing better than stylish office supplies – it just makes your space feel so put together. Love all of these – those pens are especially fancy! 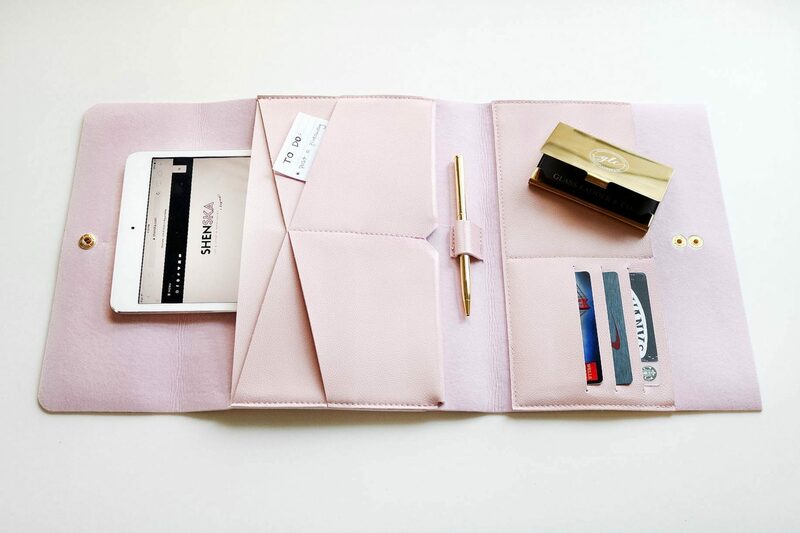 these office supplies are GORG… great giftables, too!